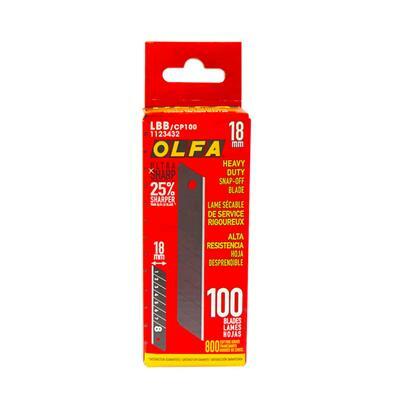 OLFA LBB/CP100 18mm Black Ultra-Sharp Snap-Off Blades (100-Pack). For cutting jobs that require superior sharpness, choose these OLFA UltraSharp blades. 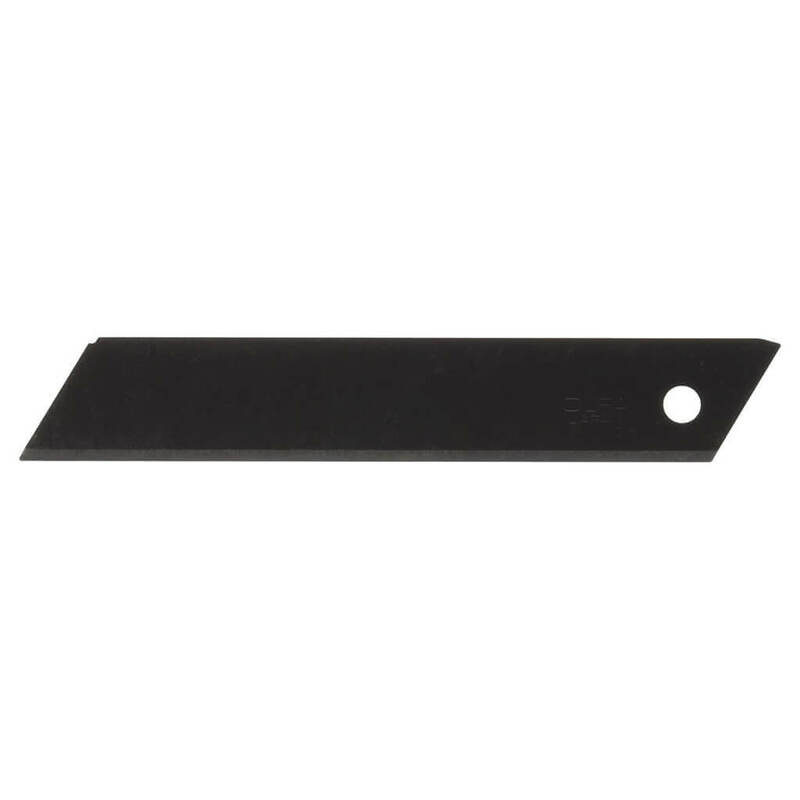 These carbon tool steel blades are double-honed for extreme sharpness. Use these blades for construction materials including drywall, linoleum, carpet, flooring, insulation, and roofing materials.